Cue the funeral music. Dollar Photo Club is muerto. So sad as I loved getting photos from them for a $1/each. The Best Dollar Photo Club Alternative is Stock Photo Secrets which is actually MORE affordable than Dollar Photo Club. YES! Check out the 99Club and see what I'm talking 'bout. 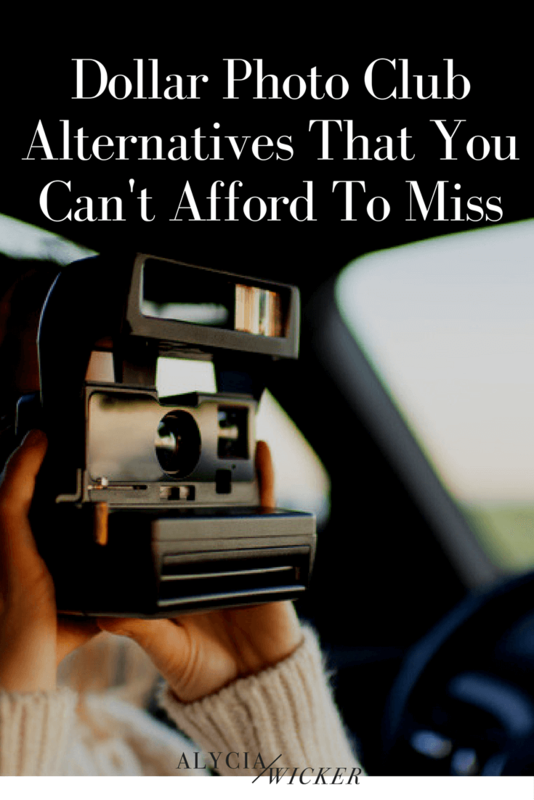 But sometimes you want other options, I get that... On to the other websites you can download pics for your blog when a free stock photo just won’t cut it? Let's dive into Dollar Photo Club Alternatives. *Most of these websites have practically the same types of stock images when I did a search for “Interiors” so I'm looking at the cost in this post. They aren’t super affordable. If you bought the monthly plan for $49/month you’ll get 5 downloads per month making an image $9.80. You buy images here based on the credits you purchase or you can buy a subscription. With a Credit Package, you can buy a batch of download credits. Pricing of images seems to depend largely on the image size (for most social media images and blog images you could get away with either a Small or Medium image). If you buy a batch of 15 credits for $17.99 you can get a small image for 13 credits (2 credits leftover). Not a great deal. One of the monthly subscriptions is $39/month for 5 image downloads per month which is a better deal where your image would cost you $7.80 each. You can buy a $39 batch of 40 image downloads making the images close to a buck a piece. If you sign up for subscription plan (let’s say the 3 month plan for $69 each month) you could get 5 images a day each month and pay about .50 each. You can do a monthly subscription with a few different options that either make your images range from $0.53 per image and 5 per day or $1.58 for 50 images a month for a $79 monthly fee. Here it seems you’d get a better deal by buying the larger $49 a month package to get close to the DPC rate. If you buy the $19 plan, you get 5 image downloads a month for $3.80 each. Don’t forget to check out my other posts on stock photos here and here.